Here at Koch Park Dental – Martin L. Buchheit, DDS we approach all your dental needs from two separate angles – what we can do in our Florissant office and what you can do at home. For example, tooth whitening and correcting discoloration can be treated in our office or at home. Here in the office there are safe and effective methods for lightening yellowed or stained tooth enamel. At-home whitening methods are also safe and effective and sometimes more affordable. If you are interested in making improvements to your smile and creating a more confident appearance for your professional career or personal relationships, please pick up the phone and contact the amazing staff at Koch Park Dental – Martin L. Buchheit, DDS today 314-837-7744. Dr. Martin Buchheit, DDS, takes pride in providing friendly care and expertise when treating patients. Come discover the personal attention with Invisalign, the patient and steady hand with root canals, the wise and thorough instruction relating to dental implants. Once you’ve scheduled a consultation, make the easy drive to 2149 Charbonier Rd. Florissant, Missouri 63033 and settle in for guidance that will make your daily oral care and lifestyle choices productive and meaningful. 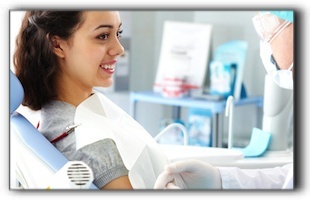 When it comes to hygiene and healthy teeth we are a practice that wants to see you as little as possible. (It’s not that we don’t love you – we just want you to have a healthy smile!) If we only see you twice a year for regular checkups then we’ve done our job. Check out our website at https://www.kochparkdental.net/ or come in for an evaluation and recommendations. Dr. Buchheit provides the full spectrum of dental services from cosmetic dentistry to general dentistry to dental implants. And we welcome patients from all over the area, from St. Louis to St. Charles and from Chesterfield to Maryland Heights.